The Dell XPS 12 is a convertible tablet that offers something for everyone. This touchscreen ultrabook only weighs 3.35 pounds. It can be used as a notebook or transformed into a tablet with a simple fluid motion. The hinge is very sturdy, with a lifespan of 20,000 cycles. You can flip it around all you want and it will last for years and years. The chassis for the tablet is made from aluminum and carbon fiber. The lid and screen bezel are built solidly. Gorilla glass covers the screen to protect it from scratches. With a resolution of 1920×1080 pixels, it offers amazing picture quality. The text is also clear and easy to read. Compared to standard displays found on most notebooks, this 12.5-inch screen is superior in every way. The keyboard is worth mentioning. The keys are springy and well spread out. Typing is comfortable for every type of user, no matter how large or small their hands are. The Fn keys at the top all have useful functions, such as media playback and volume settings. This convertible tablet is ideal for those who want to keep up with important tasks. If you’re always busy and don’t have a lot of time to sit at home or in the office, then you can still be productive with the Dell XPS 12. Its 6-cell (47 WHr) battery will keep it running for hours. Don’t think for a second that just because it’s a netbook that it’s incapable of doing the same tasks as a laptop. It’s still equipped with 4 GB DDR3 (dual channel) memory, and capable of running with 8 GB if you need more. The processor it comes with is also impressive: an Intel Core i5 model that can be upgraded to an i7. You’ll be able to run a lot of programs with this kind of speed and power. Whenever you do get a chance to use it at home or in the office, you can easily connect it to your other devices thanks to its connectivity options. It comes with USB 3.0 ports, a mini-display port, etc. Syncing files between this device and other devices is a fast and easy process. You’ll be able to save up to 256 GB worth of files on the solid state hard drive. If you need more space than that, you can simply sync some of the files to another device. Overall, the Dell XPS 12 is one of the best tablet PCs in the industry. It comes with everything a larger notebook comes with, yet it’s lighter and easier to carry around. Whether you want to use it for productivity, entertainment, or a mixture of both, you’ll be able to do so without any problems. Want to know what’s really great? You might just be able to get a great tablet PC at a discount price thanks to Dell XPS 12 promo codes. Dell is great about giving consumers special discounts if they shop online. You never know what kind of great offer you might come across. 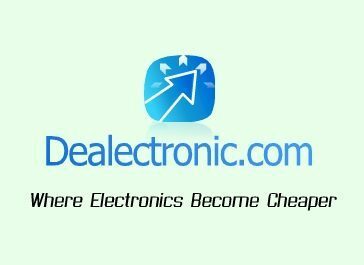 Posted in Dell Laptop Reviews, Dell PC Reviews, Laptop Reviews and tagged dell, dell laptop, dell xps 12, laptop.